We are starting a twice monthly digest to keep all of our members updated and in the know! Check your inbox every other Friday to get the latest on VtVN and The Village Movement! We hope you enjoy this. Please provide us with any feedback as we perfect this! 1) Eden Area Village in the East San Francisco Bay Area serves an area that is primarily suburban, with a population of over 200,000. Their most popular programs are their Lunch Meet Ups at various local restaurants and their Saturday Coffees at the local Historical Society. 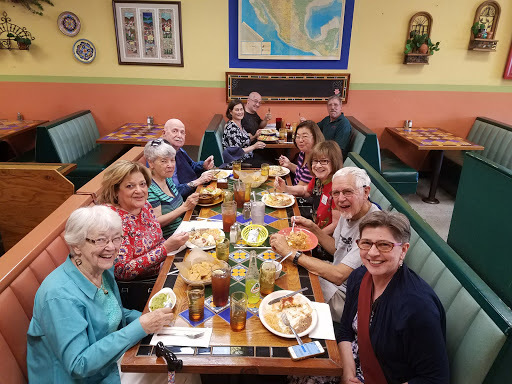 Several members show up every month, and even though they aren't alway loquacious, the sense of community these meet ups provide are invaluable. At least 2 call circles have formed spontaneously from these lunches and coffees, and group members have reached out to other members numerous times to provide rides, calls, assistance, and company. 2) Poinsettia Deliveries! 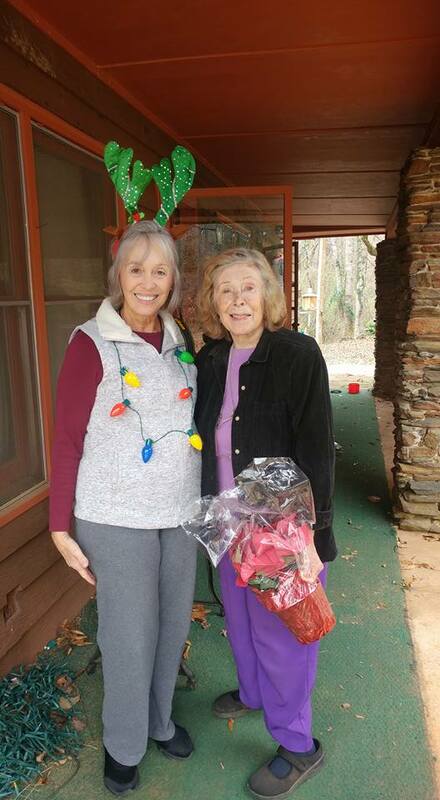 Village Friends Village Values in Auburb, AL have Village "elves" who are very busy delivering poinsettias to members all over the Opelika/Auburn area. 3) Lamorinda Village in northern California has a monthly men's group (and now a women's group) that meets at a local hof brau in the morning for coffee and conversation. They don't talk politics or sports but rather about their "aging journey." It's a wonderful group and they limit it to 10-12 people to keep it intimate. The vision was to have the men talk about their life experiences but also to discuss and learn about how each is handling (or not) their late life journey. Click Here to access the forums for other great ideas for Village affinity groups. We are so thankful to see the Village Movement being featured in many places! The Village Movement on NPR! These webinars will be presented in the next two weeks. Click the links for the description and to register! Thanks for checking out our bi-monthly digest. We will send another in two weeks so keep an eye out in your inbox! Please email us with suggestions of what you would like to see in these digests.